When British soldiers charged across the Somme in September 1916 they were accompanied by a new and astonishing weapon - the tank. After a stuttering start armoured behemoths such as the Mark IV, Mark V and Whippet played a crucial role in bringing World War I to an end. 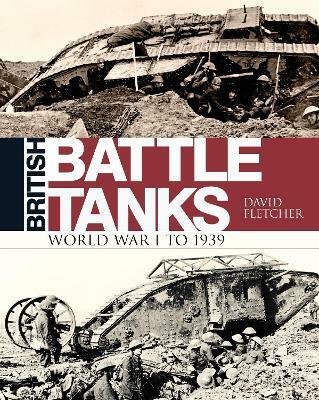 Marking the centenary of their battlefield debut, this comprehensive volume traces the design and development of the famous British invention during World War I and the increasingly tense years of the 1920s and 30s, from the first crude but revolutionary prototype to the ever-more sophisticated designs of later years. Bolstered by historic photographs and stunning illustrations, author David Fletcher brings us the thrilling history behind the early British battle tanks. David Fletcher MBE was born in 1942. He has written many books and articles on military subjects and until his retirement was the historian at the Tank Museum, Bovington, UK. He has spent over 40 years studying the development of British armoured vehicles during the two World Wars and in 2012 was awarded an MBE for services to the history of armoured warfare.